Malaysian youngster - Yap Eng Chiam lost to experience and strong Philippine's GM - Bong Villamayor in the 1st round. Below are the game. 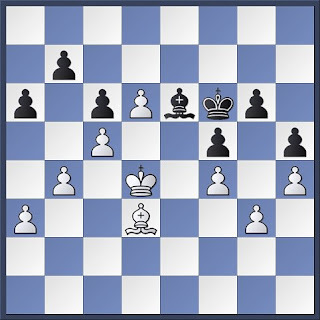 1.d4 d5 2.c4 c6 3.Nf3 Nf6 4.e3 e6 5.Bd3 Nbd7 6.0–0 Bd6 7.Nbd2 0–0 8.e4 dxe4 9.Nxe4 Nxe4 10.Bxe4 f5 11.Bc2 e5 12.Bg5 Be7 13.Bxe7 Qxe7 14.Nxe5 Nxe5 15.Re1 So far so theory. 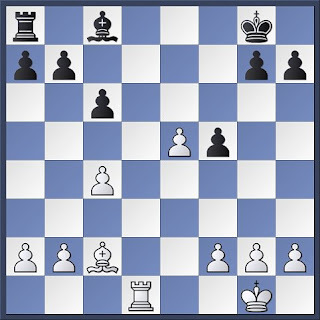 Fritz 11 opening book suggest 11...Qb4 as the main line. 15...Rd8? 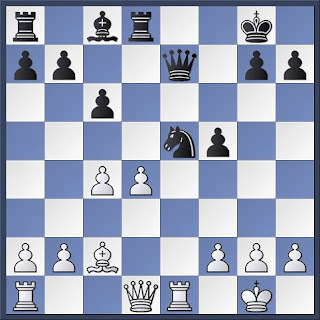 2. entering black queen side by controlling the a2-g8 diagonal with his bishop and later his king penetrate tru the uncontrolled dark square c3-b3-a4-a5-b6! Black unfortunately can't defend both entry at the same time. Black only chance to enter white position is tru the light square ( d5) which is impossible because white light square bishops still "alive"!